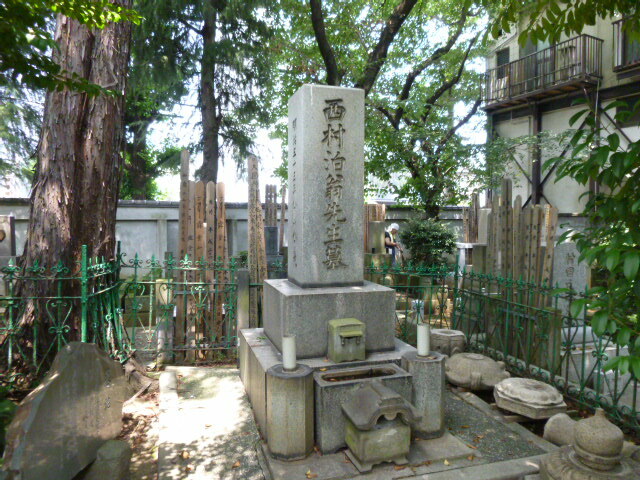 Nishimura Shigeki served for Sakura doman of Shimo-usa Province at the end of the shogunate,and subsequently,as an official in the Minisry of Culture during the Meiji Era,made great efforts for compolation of school textbooks and establishment of educational systm.He was born on March 12,1828 in the residence of the lords of Sakura domain at Tatsunokuchi in Edo(located outsede of Wadakura Gate,at today's Otemach in Chiyoda ward). He learned teachings ofConfucius with Yasui Sokken and Matsuzaki Kodo,as well asa European studies and artillety with Sakuma Shozan.Nishimura,following the order of a lord of his native domain,began in 1853 to serve for lord of Sano domain,the Hotta clan,a branch of Sakura domain,and participated in the domain's government. 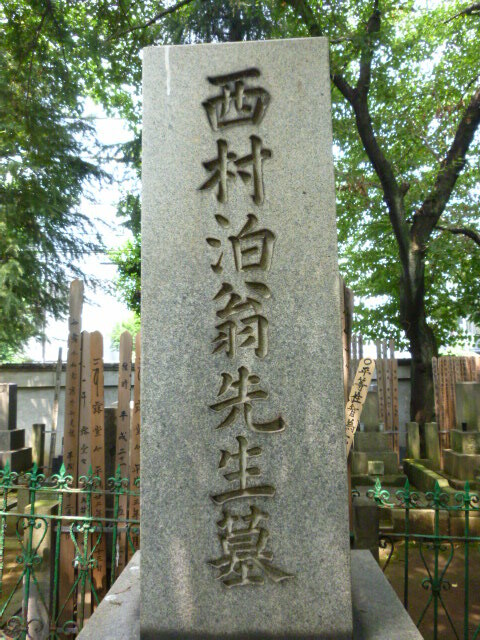 He launched the Meiji 6 Society in 1873,together with Mori Arinori and Fukuzawa Yukichi,in order to develop mobements based on thephilosophy of Enlightenment.Furthermore,Nishimura founded the Tokyo Morality School,while he wrote works including Discourse on Japanese Morality and Mirror of Women.He thus laid foundations for imperial family-centered ideas on morality and ethics.These ideas saw far-reaching effects on the school education until 1945.Since 1879,he directed compilation works of the Encyclopedia of Ancient Matters in the Ministry of Culture.He died at the age of 75 on August 18,1902.